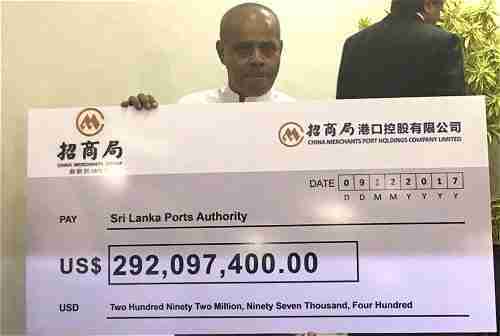 China on Saturday formally handed control of its southern port of Hambantota in return for $292,097,400.00, as the first payment on a 99-year lease. In 2009, China invested $1.2 billion in the port as part of its "string of pearls" strategy to surround India with ports accessible to China's navy. Sri Lanka had expected to repay the debt through profits earned by the port, but the slowdown in trade throughout the entire region in the last few years has meant that Sri Lanka has been unable to repay the debt. The result was that Sri Lanka's government has been forced to give China a 99-year lease to take over the port. The announcement in January of this year triggered violent protests by thousands of Sri Lanka's Buddhist monks and anti-government protesters. Protestors said that thousands of Sri Lankans will lose their homes because of the project. And then thousands of Chinese families will migrant to the land adjacent to the port, establishing a "Chinese colony" on Sri Lankan soil that will grow and can never be removed. Many Sri Lankans are accusing China of having purposely set a "debt trap" in 2009, loaning money at extremely high interest rates, knowing that Sri Lanka would be unable to repay the debt, and would be forced to give away Sri Lankan assets to China. "The unity government expects to develop and operate the Hambantota Port to make it a main port in the Indian Ocean. ... There will be industrialization in the area which will lead to economic development and promote tourism." The government pledged to pay the debt taken by the previous government for these projects loans. With this agreement we have started to pay back those loans. We are going to develop the Hambantota port without burdening the masses. We get US$ 300 million today. We deposit this amount in foreign reserves. 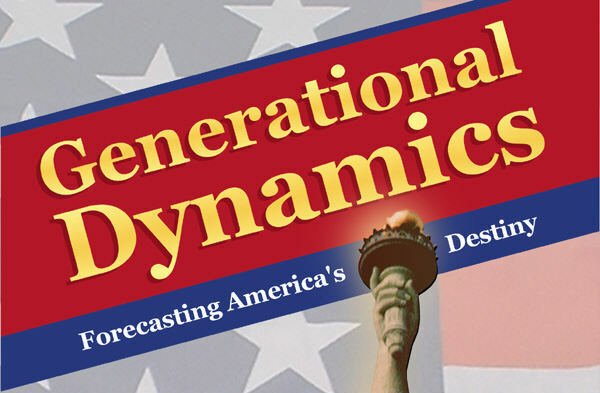 The future generation can go forward without a burden. We have taken steps to make Sri Lanka the hub of the Indian Ocean. We thank the Chinese government and its representatives at this occasion." China's Maritime Silk Road, also known as the "String of Pearls," is a sea-based network of shipping lanes and port developments throughout the Pacific and Indian oceans to the Mediterranean Sea and Europe. The port in Sri Lanka adds to ports that China controls in Myanmar, Bangladesh, Maldives, Pakistan and Djibouti. China even has a controlling stake in Greece's port of Piraeus on the Mediterranean Sea. India has been increasingly alarmed about being encircled by China's "One Belt One Road" (OBOR) project, including the Maritime Silk Road. Sri Lanka has attempted to allay India�s security concerns, Sri Lanka has repeatedly claimed that no Chinese naval facility would be permitted. However, India remains concerned that one day China's influence will reach a point where Sri Lanka can't say no. This situation has resulted in a new controversy: India wants to buy the Rajapaksa International Airport, which is adjacent to the Port of Hambantota. Rajapaksa International Airport is being called the "world's emptiest airport." The port is said to be beautiful, and a tourist attraction. But it's almost completely unused. It has a full complement of employees, most of whom stand looking bored, but it handles only one international flight per week. The airport was built along with the port, and it's part of the financial disaster that has resulted from the project, and forced Sri Lanka to lease the port to China. It's not known what India plans to do with the airport, but it's suspected that India wants to keep it empty to prevent its use by Chinese warplanes.